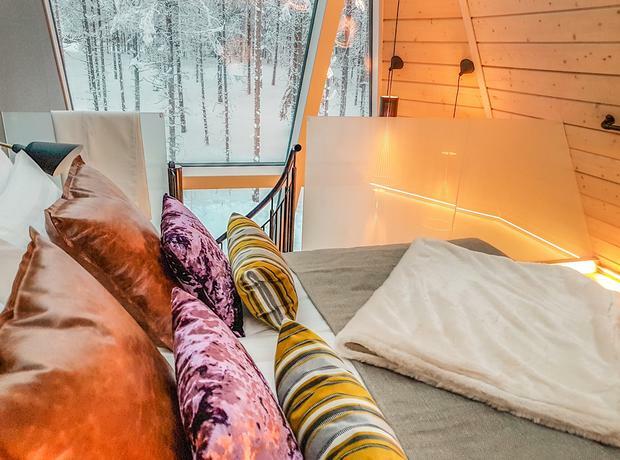 An unforgettable experience awaits at the Snowman Glass Villas. Part of Snowman World, which you have entrance to there's an outstanding array of family fun, such as ice skating, tobogganing and snowmobile safaris, right next door to Santa Claus' Village. 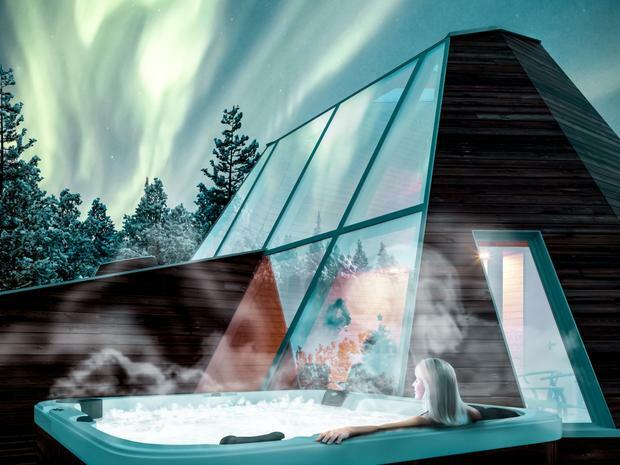 At night you'll settle in to your sumptuous semi-detached Scandinavian villa, unwind in your private whirlpool and stargaze through the glass ceiling. 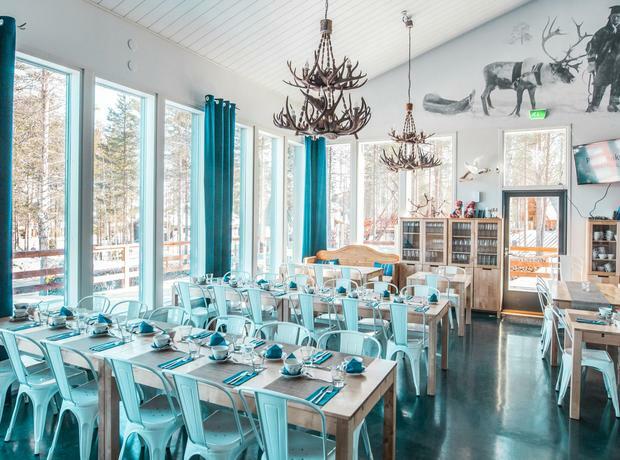 Snowman characters ensure everyone has the time of their lives and the beautifully crafted Ice Restaurant serves Lappish specialties - this is the coolest place to stay on the Arctic Circle. Once you've landed in the snowy wonderland look out for Santa's elves who'll meet you at the airport. It's very chilly so the elves will take you by coach to the locker room to get you into a thermal suit and comfy boots. You're whisked to the activity park where the fun really begins. Now's your chance to race against each other on toboggans down the slopes or just have a huge snowball fight in the snow! You could even try the kicksleds, a local form of transport and easy for everyone to use so you should get the hang of them in no time. The kids can see more of the captivating scenery as they enjoy a short snowmobile ride. Next have a go at tandem skiing, it provides plenty of giggles, and try out snowshoes, they were invented to be able to walk over the snow without sinking. Have some hot berry juice before hopping aboard a short reindeer sled for a leisurely ride before a team of huskies will take you on a quick fast-paced sled ride. All this fun might make you hungry so we have included a warming lunch in the park. The highlight of the day could be when you meet the man himself, Santa Claus! 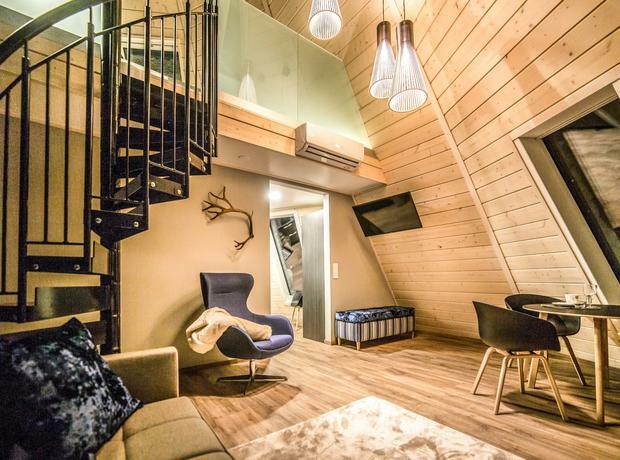 After resting in your hotel for a while it's up to you if you want to fit in more. 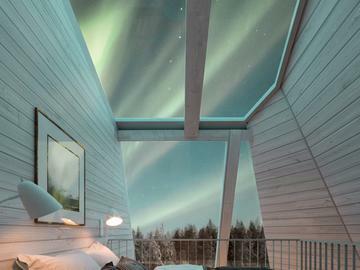 Fancy searching for the phenomenal Aurora Borealis (Northern Lights)? You can with us. 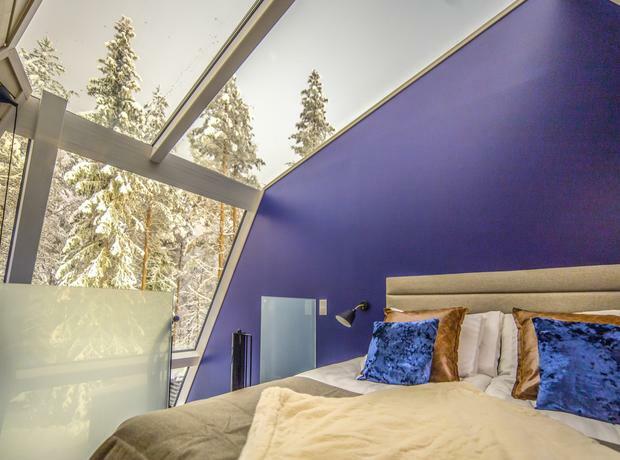 The morning begins how you want, whether that's playing in the snow or taking an optional excursion. You'll enjoy the hearty lunch at Forest Manor as you'll need energy for the excitement to come in magical Santa Claus' Village. Send a letter from Santa Claus, stamped with the special postmark of the Santa Claus Post Office. Cross the Arctic Circle and receive a certificate for doing so. 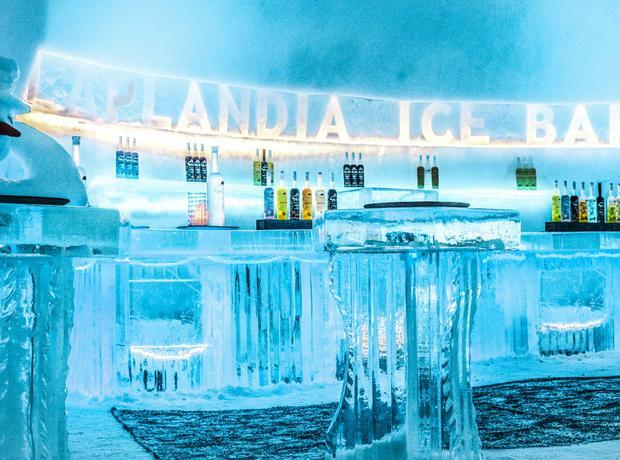 There's a lovely choice of bars and restaurants, the Ice Bar is a 'cool' place to take a break. 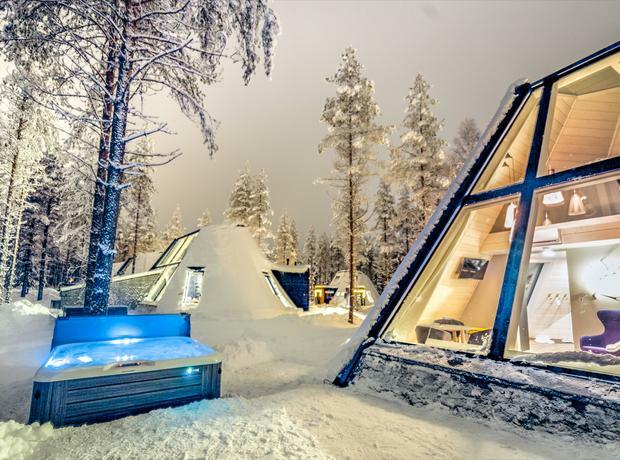 For one last blast of fun you'll be heading off on a snowmobile ride through the snowy forest before you can sit back and relax and remember what fun you had on your Lapland adventure over a complimentary Christmas dinner on our flight home. Activities may not run in the order or day listed. Snowmobile trips are subject to change due to weather conditions. Pregnant women should not use snowmobiles or sledges pulled by snowmobiles as the vibrations and exhaust fumes may be harmful. You will not check into your hotel until the evening on day 1 and your cases will remain locked in the coach hold from arrival at the airport until arrival at your hotel. 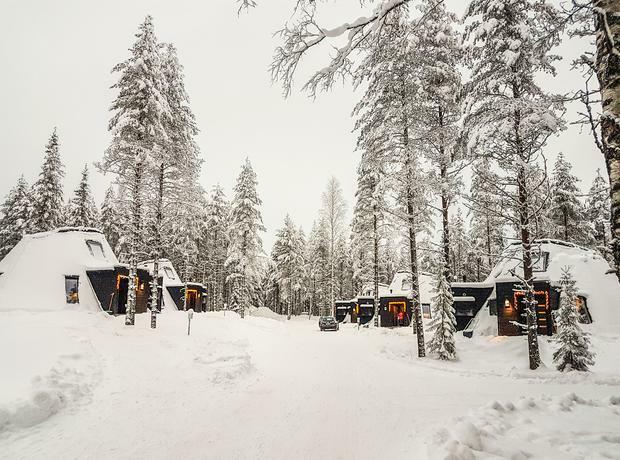 We want to make sure our trips to Lapland are enjoyed by everyone but the snow and icy conditions along with the uneven natural terrain may mean some of the trips aren't suitable for people with reduced mobility. In Snowman World next door to Santa Claus Village, 10 minutes drive from Rovaniemi centre with its bars, shops and restaurants. 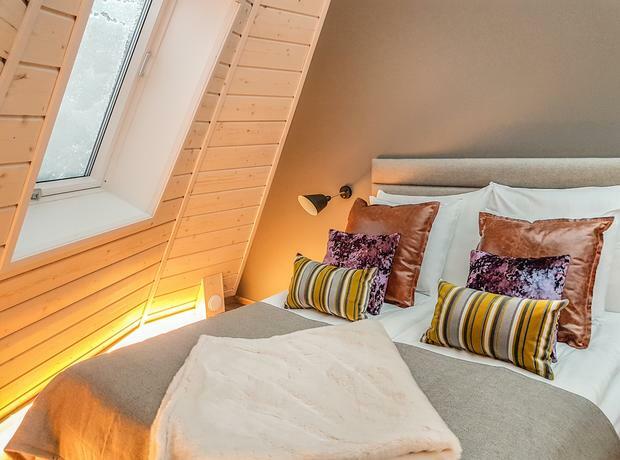 One bedroom semi-detached villa (two adults and two children) with a double bed in the bedroom plus double sofa bed in the lounge area, mini kitchen area, flat-screen television, Wi-Fi, private sauna and whirlpool, and bathroom with shower. 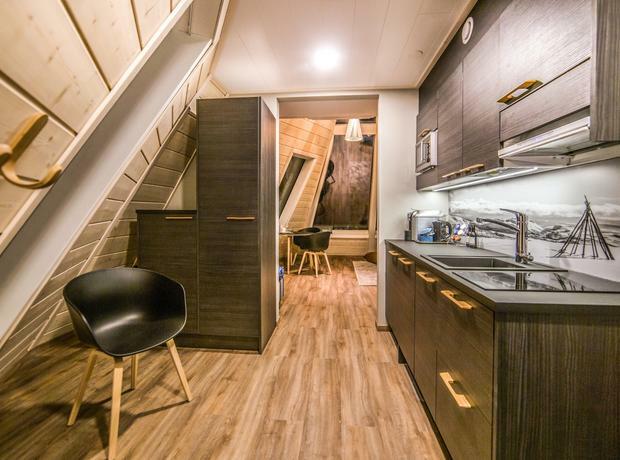 One bedroom Villa (two adults and two children) with a double bed plus extra beds, mini kitchen area, flat-screen television, Wi-Fi, private sauna and whirlpool and bathroom with shower.